The Business Case is a document often associated with Programmes or Projects. Managers are typically involved in the approval of Business Cases, therefore it is helpful to understand the purpose of the Business Case and it's importance to the Project. Project will be used in this article to refer to both Programmes and Projects. 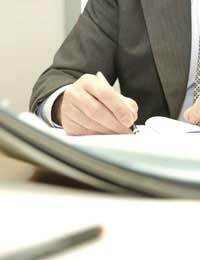 A Business Case is written before a Project has been given the approval to go ahead. It is written to capture the rationale of why this Project is important and why the work must be done. The Business Case does not detail any solution; possible approaches may have been considered however no solution is decided until the next, analysis stage. This makes the job, for the managers reviewing the Business Case, much easier. They understand what should be contained within the document and where to find it. The Business Case outlines the Business reasons for doing a Project. It is not a technical document and while there may be some good technology reasons involved with the Project, ultimately the key reasons are business related. Technology is only an enabler to achieve business benefit and no project should be started purely for technical benefit. It’s important that you understand the content of the Business Case. This document does not disappear once it has been approved (if it has been approved). It becomes the basis upon which to measure the Project throughout it’s development life to ensure it is on track, and on completion it is used to determine whether the Project successful delivered what it set out to achieve. If the language in the document is unclear or confusing, ask for clarification. If information is missing than request the necessary details. Only give your approval when you have all the information you need. If you are a reviewing manager, signing off on the approval to proceed, it is essential that you have all the facts to make a fair judgement. This means that all benefits are achievable, all costs have been considered and are realistic (not just monetary but the cost of people and time), and potential risks of the Project have been analysed. It is not sufficient to use terms such as “Improve”, any benefits must be quantified: An increase in profits of ten percent. This allows the true benefit of the Project to be weighed against the true cost of the project, and this helps the approving managers determine its worth to the business. The Business Case must clearly state who is accountable for the management and delivery of the Project. The roles on the Project should be defined. As a manager you may play various roles in regards to the Business Case. If the Project is within your function, you may be the person writing the Business Case. In some cases, it may be someone within your function writing the document for your approval, or it may be that you are invited to provide information or approval for a Project in another area. One factor remains constant: The approval of a Business Case is not something that should be taken likely. It should not be assumed that, because a Project has been given the approval to produce a Business Case, that it will automatically proceed to delivery. This stage is critical and a manager must give this the necessary due diligence to ensure that only the most important Projects are given approval. Every organisation has more Projects than it can deliver and choices must be made. Therefore the Business Case is the managers most critical tool in ensuring only the most important Projects proceed.